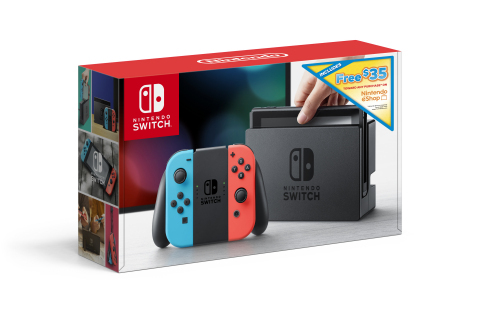 Home / Expo / Are 2 new Nintendo Switch’s on the way? Rumor has it that there are a pair of new Nintendo Switch consoles en route to E3. One more powerful than the current, and one aimed at casual games. The Switch has, to put it mildly, been another hit for Nintendo. While the Wii generations went from great to dismal, the Switch has been a star. The little console has surged in sales and cemented the Nintendo name in the modern gaming arena once again. And now, there may be something else on the way, if a report from the Wall Street Journal can be believed. As this hasn’t even remotely been confirmed by Nintendo though, take all of this with a grain of salt. As for what’s rumored, well we might be getting not 1, but 2 new Switch’s. Nintendo is alleged to be showing the consoles off at its E3 Direct presentation, and they’ll be both more and less powerful than the standard model. The lighter-weight unit will supposedly be aimed squarely at casual gamers, and will have a cheaper cost than the base Switch. As for the powerhouse of the family, don’t get too excited – it still likely won’t be able to touch the higher end Xbox and PS4 models in terms of raw power. What it will do though, is stock some features that the current Switch does not. What might those be? Your guess is as good as ours. Stay tuned, we’ll have much more on this, if it’s accurate, come E3 2019. For now, you can read more at the source link below. Previous Marvel talks publishing slate for 2019, is it too much?